This article aims to guide you step by step on how to link your domain to blogger. Step 1. Go to your blog editor page. Under Settings (number 1 in the image below), select Basics (number 2 in the image below). 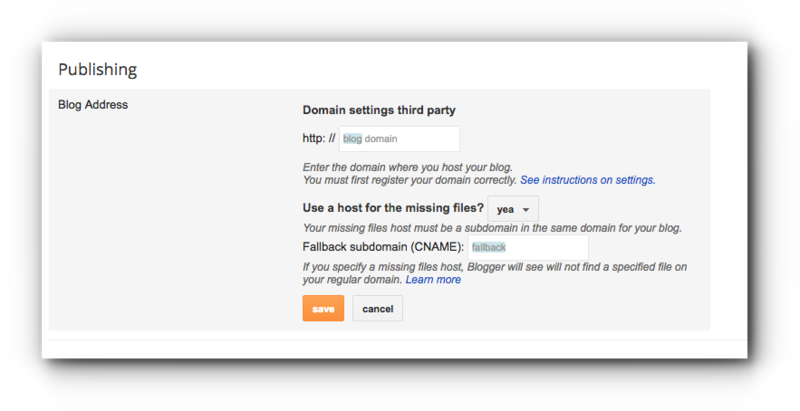 In the “Publishing” section, click the link to Setup a 3rd party URL for your blog (number 3 in the image below). Step 2. In the Blog Address, enter the URL of the domain. Make sure to have www. at the beginning of the URL. Step 4. An error message will show up and displays two CNAMEs. 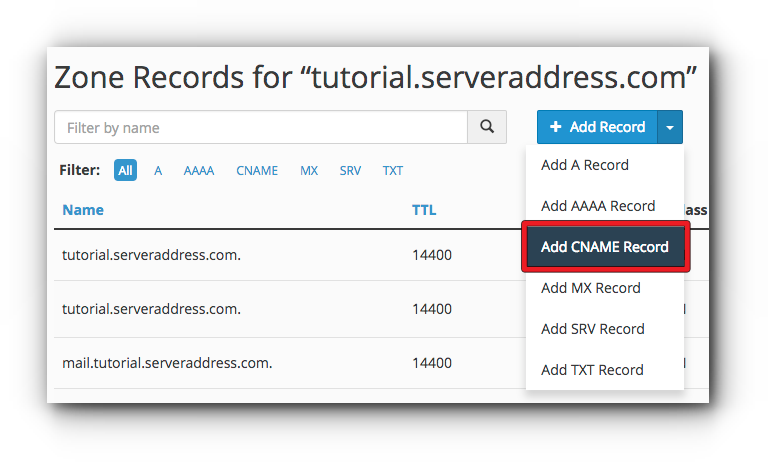 There are 2 fields for each CNAME – Name, Label or Host and Destination, Target or Points to. The first one is the same for all users, Name is “www” and Destination is “ghs.google.com.” The second CNAME is unique and only for your blog and Google Account. Step 5. Login to the cPanel (only applies if you have a hosting account with us at Vodien), and click on the “Zone Editor” under Domains panel. Note: If you only own a domain with us but not a hosting account, you can modify it through the Account Manager. Step 6. Edit the existing CNAME record for the www.domain.com. Step 7. Enter ghs.google.com for the new destination and click Save Record. Step 8. 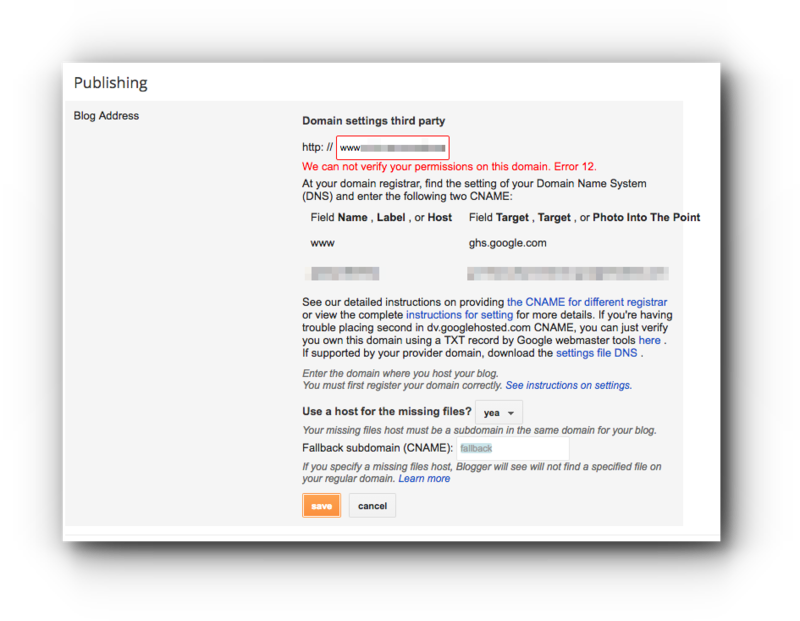 Do the same for the 2nd unique CNAME record particular to your blog and your Google Account with “Add Record” instead and select Add CNAME Record. Step 8. Click Add Record to save the changes. 1. You may also enter A-records, which links your main domain (domain.com, for example) to the actual site (www.domain.com). If this step is not followed, an error message will show if visitors will access the site without the “www”. 2. Once the above step has been completed, enter your main domain name (domain.com), and copy the IP addresses shown below in the “A” section. You are required to create four separate A-records which point to four different Google IPs. After the above records have been added/amended, do allow a couple of hours for the DNS to fully propagate. 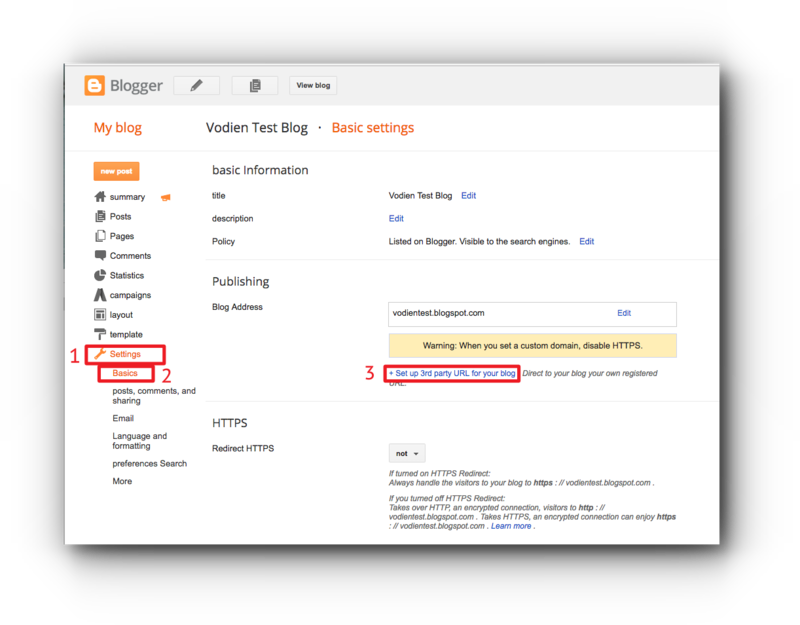 Just head back to Blogger and update the information on your Settings | Basic tab. Find the area for “Publishing,” and click the link to add a custom domain. Enter the URL for your custom domain in the text box provided, and click Save. You’re done for now, and your blogspot.com site will soon be redirected to your new custom domain. In case you will encounter an error when accessing the site, the settings may not have been entered correctly. Please do the same process and double check the settings.